Here you can find a strain description about Berry Ryder and also some user-based reviews and infos directly from the SeedFinder (if available). You can also find the offers and auctions here if Berry Ryder cannabis seeds are on stock at MyCannapot right now. Berry Ryder BX1F6 (Blueberry x Auto #1) x Lowryder 2, an auto-flowering indica dominant strain from Auto Seeds was back crossed to Lowryder2. This strain which came from the original cup winning Blueberry, is both extremely resinous and boasting a rich, sweet, berry aroma. 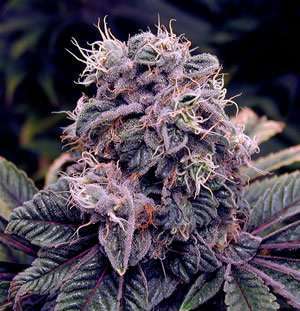 It grows like an indica, producing fat leaves and dense frosty buds. Berry Ryder is one of the best tasting auto strains available. The plant stays short in soil but can get larger in hydroponic setups. The Blueberry genes add increased yield potential whilst maintaining the strong medical effect and legendary berry taste. The plant can turn purple, especially in cooler night time temperatures which it thrives in. It is excellent meds for pain, stress, insomnia or nausea. Also good for PTSD, ADD and ADHD. Buy Berry Ryder now at MyCannapot! There are no actual running auctions for Berry Ryder right now.